What exactly is The ARK at JFK? 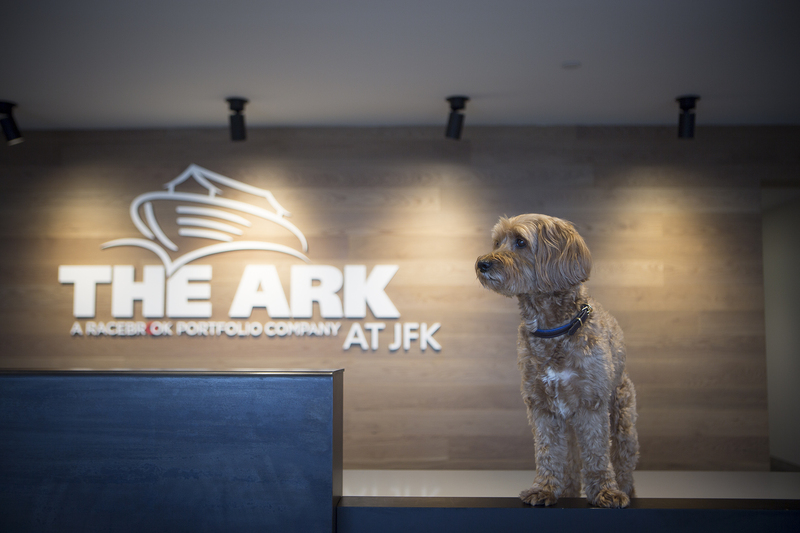 The ARK at JFK is the only full-service animal reception facility in the United States, staffed 24 hours a day, 7 days a week. The in-transit facility offers airport reception and quarantine facilities for the import and export of companion pets, horses, birds and livestock. Companion Pets: The 24/7 ARK Pet Oasis, available to all airlines, pet shippers and pet parents, services the needs of pets / companion animals traveling as live animal cargo. 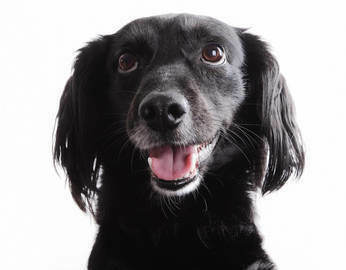 Facilities include a dedicated outdoor relief area for dogs, 47 dog kennels and 12 cat kennels. Located off the runway at JFK International Airport (in Building 78A in Cargo Area D), with landside parking facilities and direct airside access to taxiway and private aircraft parking, the $65 million, 178,000-square-foot animal handling center has been designed to ensure the safe and humane treatment of animals traveling by air. Airside and landside services to board, kennel, quarantine, import, export and transport large and small animals. Additional services include transportation in dedicated climate-controlled vehicles to and from aircraft, terminals, cargo facilities and other airport locations, as well as customs clearance on behalf of the owners, or through a custom broker. “For the Pet Oasis, the basic accommodation fee is $125, say Elizabeth A. Schuette, the Ark's managing director." The ARK’s long-term pet boarding facility will open in 2018 and confirmed details will be announced then. The Ark at JFK was designed & developed by wife and husband team Elizabeth A. Schuette (the managing director of the Ark) and her husband, John J. Cuticelli Jr., (the project’s developer) in collaboration with Cornell University’s College of Veterinary Medicine and Worldwide Flight Services (which transports pets around the world). Federal regulations (August 2016) mandated that Pet Relief Areas are now a legal requirement at all airports accommodating more than 10,000 travelers annually. These areas must cater for service dogs, emotional support animals or pets. 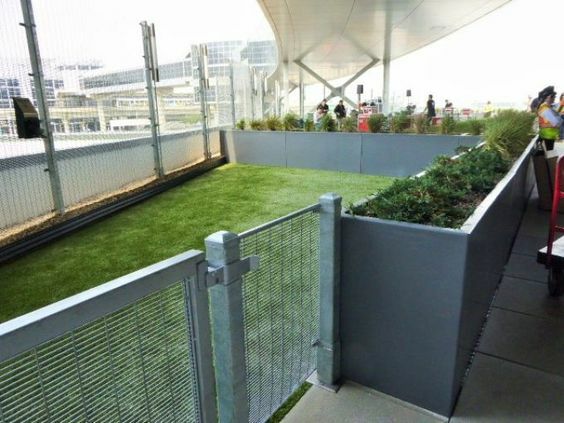 This is not the only pet relief area at JFK: In July, JetBlue opened a post-security, 4000-square-foot outdoor rooftop lounge, complete with dog walk, on top of Terminal 5 (T5). LaGuardia has a very small (10-foot-square ) pet relief area in an unsecured area just outside Terminal D, near the taxi arrivals area. "Pets and animals other than service animals are required to remain in carriers at all times other than while using the relief area. There are no pet relief locations anywhere within the airport’s secured areas." 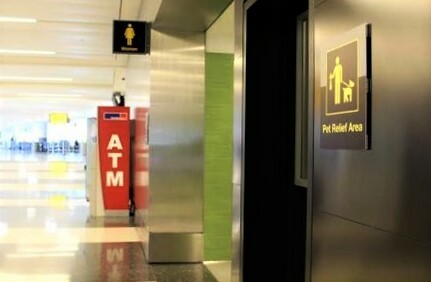 Terminal A: for the very small Pet Relief area follow the signs in Baggage Claim. Terminal B: Pet Relief area is in Pre-Security Area, outside Arrivals, between gates 65 & 66. Terminal C: Pet Relief Area is in the Pre-Security area, outside Arrivals Area.